Do you have a Korea Travel story? 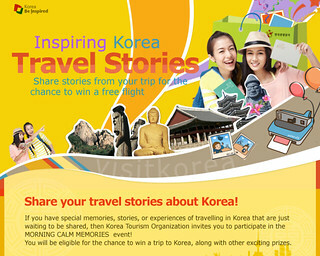 This is a chance to win a 3N trip for 2 with Visit Korea! You have until October 31, 2013! Click here for more info on the Visit Korea Inspiring Korea Travel Stories Event.